Sonic Tractor Parts, Inc. customizes, imports, and distributes parts suitable for the Agricultural, Industrial and Turf industries. We offer quality replacements for popular brands such as Case/IH®, Char-Lynn®, CNH®, Fiat®, Ford®, John Deere®, Massey Ferguson®, Parker® and much more . Established in 1989, the company is now celebrating its 30th year of operation. 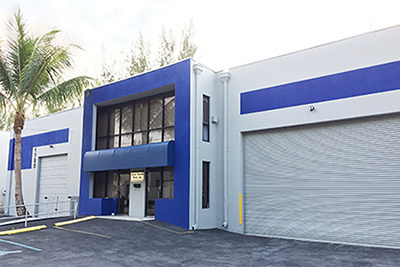 Our quality parts are produced in ISO certified facilities in Taiwan, China, Turkey, United Kingdom, USA and more, and shipped worldwide out of our centralized warehouse in Miami, Florida. We ship and provide our parts to an extensive dealer and distributor network in the United States as well as over 40+ distributors in Canada, Mexico, The Carribean, Central & South America, Europe, the Middle East, Asia, and Africa. Our parts are sold under our "SONIC-USA" , "STP-USA", and "SONIC HYDRAULICS" brand names. Sonic Hydraulics® is the hydraulic-focused division of Sonic Tractor Parts, Inc. Under Sonic Hydraulics®, we have developed, and continue to introduce, hundreds of models of hydraulic pumps, motors and related products for the OEM and aftermarket industries. Our mission is to provide price competitive, high quality parts, delivered in an efficient and timely manner for our clients. Our office is conveniently located in Doral, Florida, close to the Port of Miami and Miami International Airport.